You know when you’re anticipating something for a really long time, and then it finally comes together and you just can’t wait to tell everyone about it?! 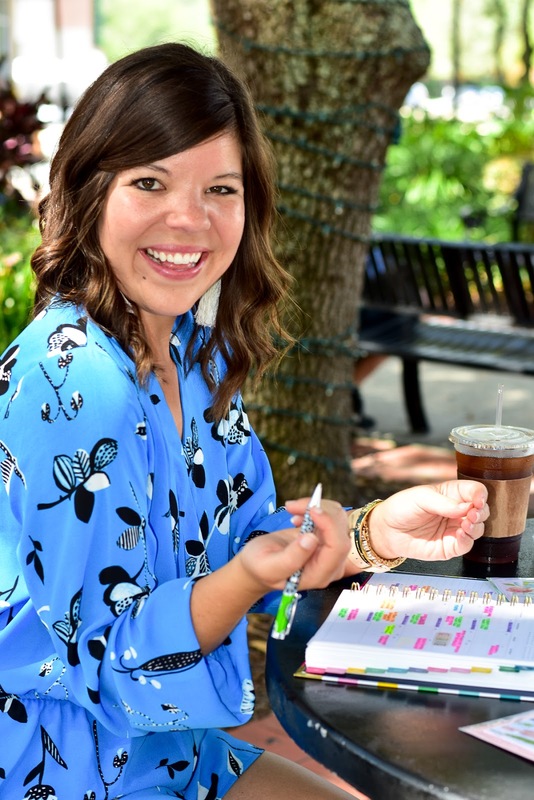 That’s how I feel about today’s post & sharing my Simplified Planner with y’all! First, let’s talk about the basics. 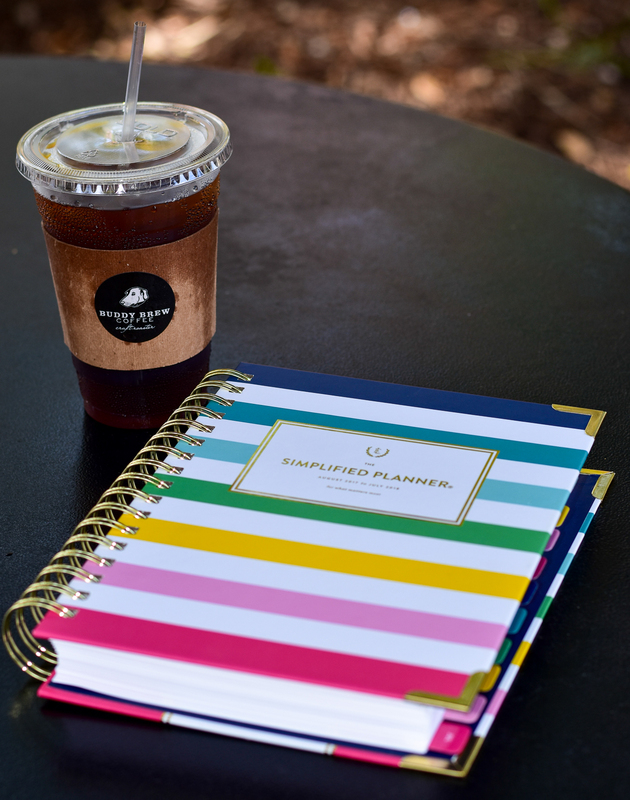 The daily edition of the planner comes in 4 different color options- I have “Happy Stripe.” The spiral binding is super durable (you know some bend so easily) and I love that the covers are reinforced so that if you do travel with it it’s got extra protection. The paper inside the planner is also very high quality! I tried out a few different pens and nothing bled through (not even my saturated highlighters). Love that! 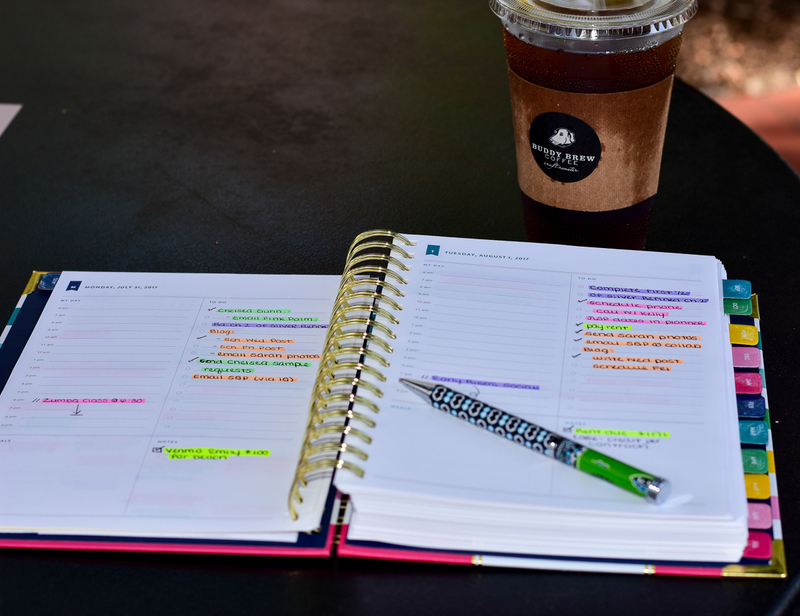 Each month starts out with a 2-page monthly overview and there is tons of room to write! As you can see, my Thursday’s are usually packed and I can fit 2-3 activities inside the box with no problem. Now, let’s chat about the daily plans! 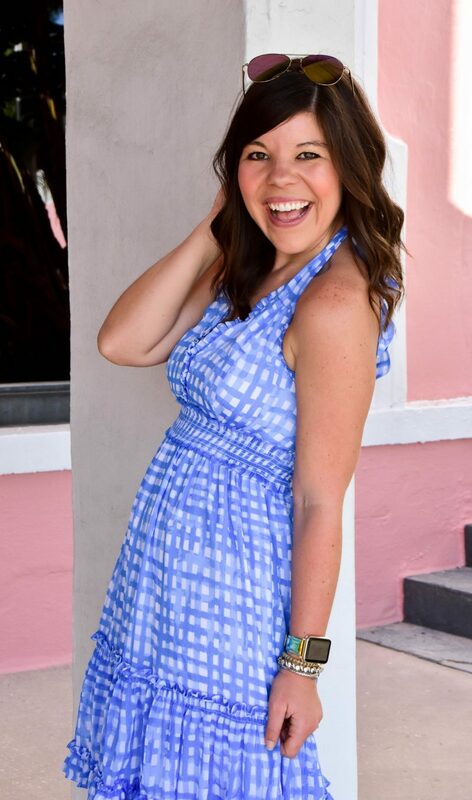 I was so worried that I wasn’t going to like planning day-by-day, but it turns out that I kind of love it! 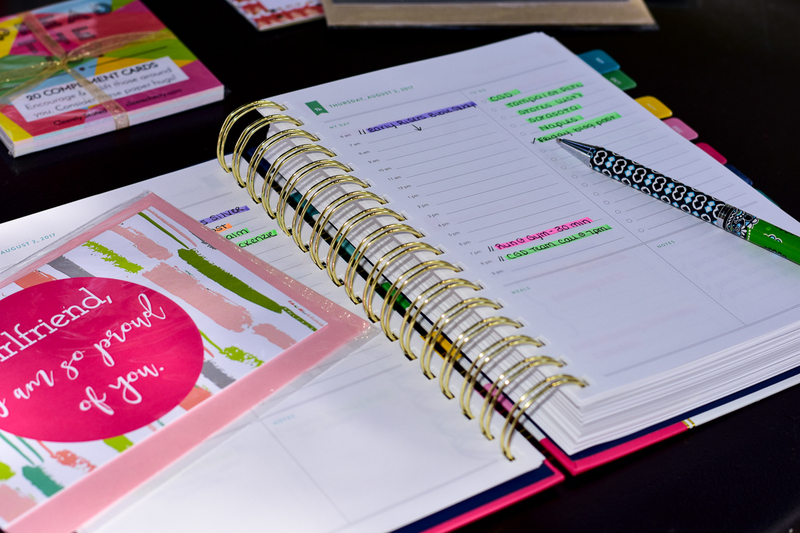 Here’s why: say in a normal week I have 15-20 items on my “to-do” list- that can be overwhelming! But now I can take that same list and break it up in to 3-5 manageable tasks to tackle each day. So I’m still getting everything done in my week, but I’m not overwhelmed looking at a massive to-do list! Instead, I feel a sense of accomplishment at what I am getting done each day. 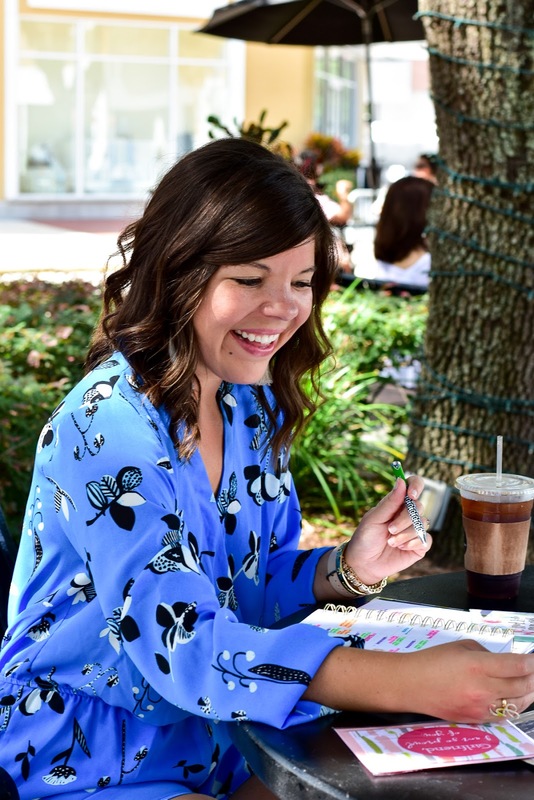 Even though I use a work calendar from 9-5 on my Outlook, I do love putting in my hourly activities for my “off time” because it also helps me to figure out the kind of time I have to accomplish the tasks and to-do’s explained above. In my “notes” section of each day I list my bills that are due or anything that has a deadline or needs to be accomplished by! I feel like my Simplified planner has made planning fun again for me and really has made the process easier and well, simpler! So let me know, what planner do you use? 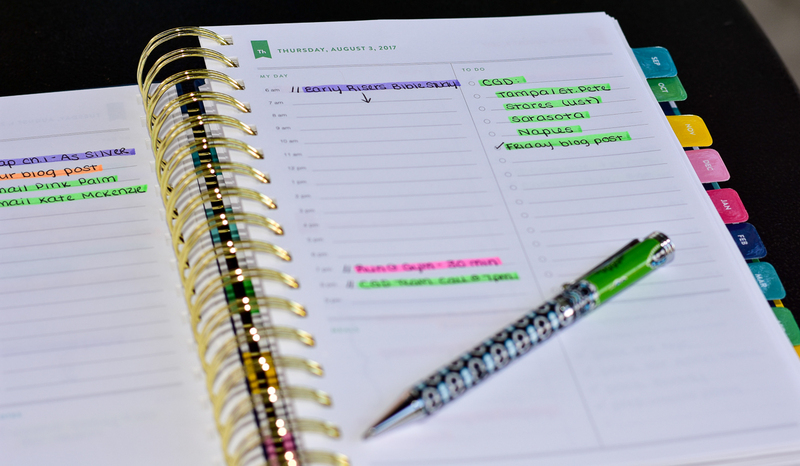 Have you tried the Simplified Planner? If there is anything else you want to know, leave me a comment below! 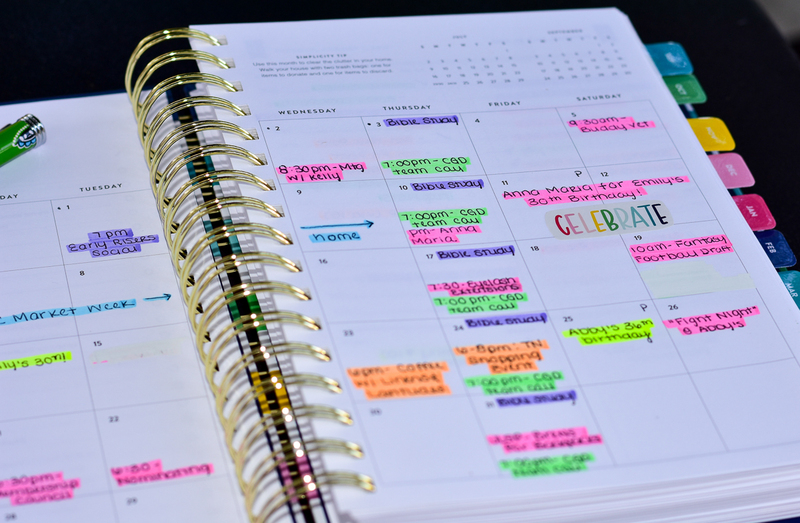 I love that you highlight things in different colors, what a great way to stay organized! I need to buy my new planner for next year, there are just so many options! I love having an actual planner and handwriting things out! Your color coordination is the best – it makes organizing so much more fun! 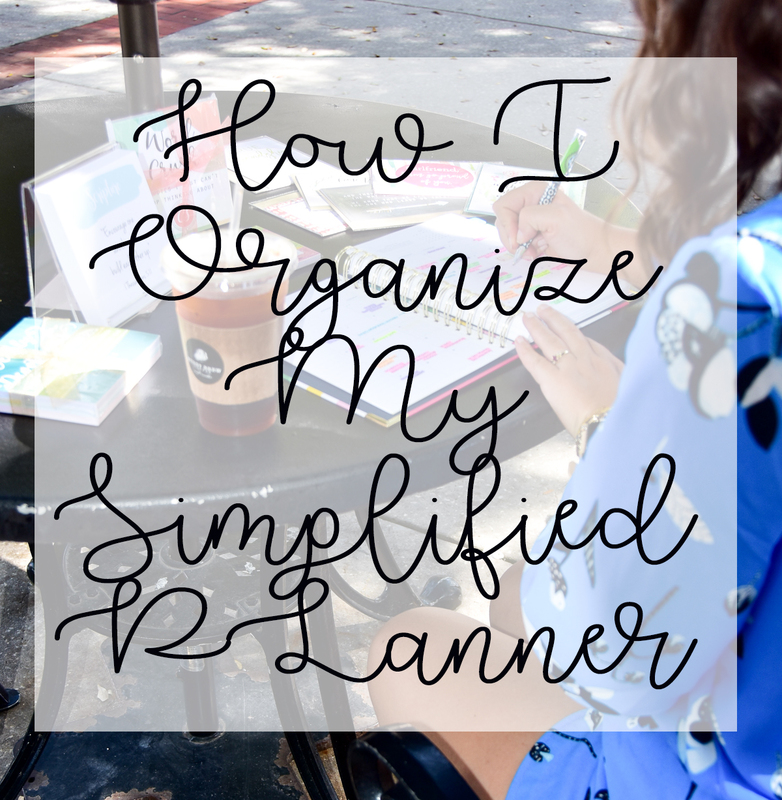 The Simplified Planner is an excellent planner! I had happy stripe last year. Loved it! I'm more digital now, but you gotta do what works! I think your highlight system is a really good idea. Then you don't have to carry around a ton of pens. I have to have a planner to write things down in. I do use my phone for alot but I still need to write things down. I find that I remember things better when I write them down. I like your highlighting system. I love how well organized you are! I need you to help me get my life together, friend! Great post! I love the black pen/ highlighter idea! What black pen is in the photo—it’s very pretty. IT is from Vera Bradley 🙂 Thanks for stopping by!